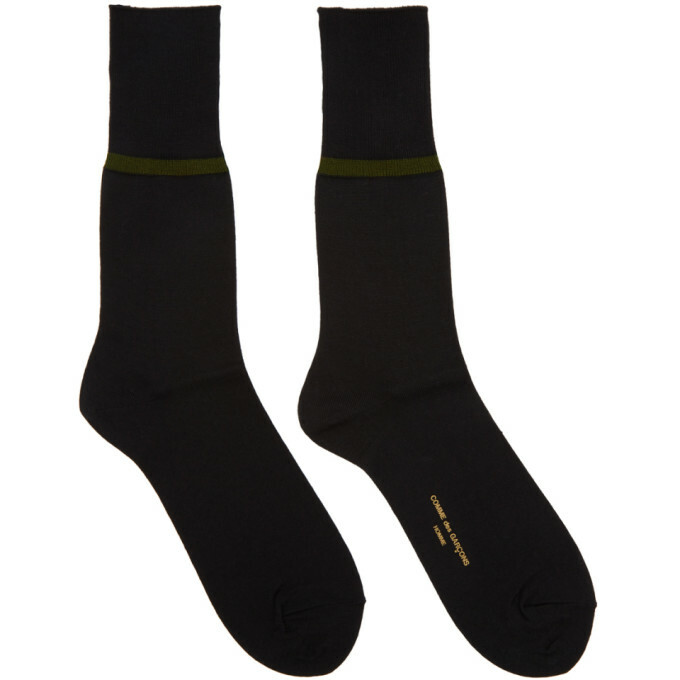 Calf-high rib knit cupro-blend socks colorblocked in black and green. Text embroidered at outer side. Logo printed in gold-tone at sole. Tonal stitching. 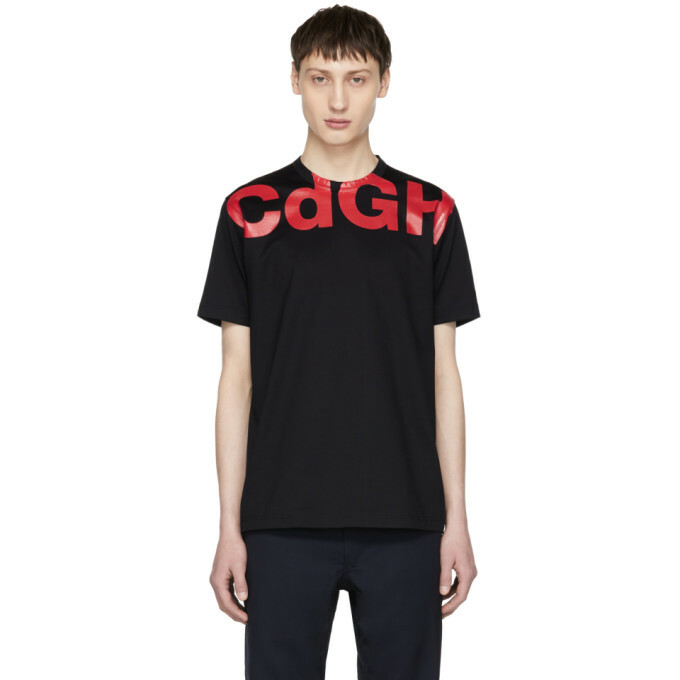 Calf-high rib knit cotton and nylon-blend socks in black. Stripe knit in green at cuffs. Logo printed in gold-tone at sole. Tonal stitching. 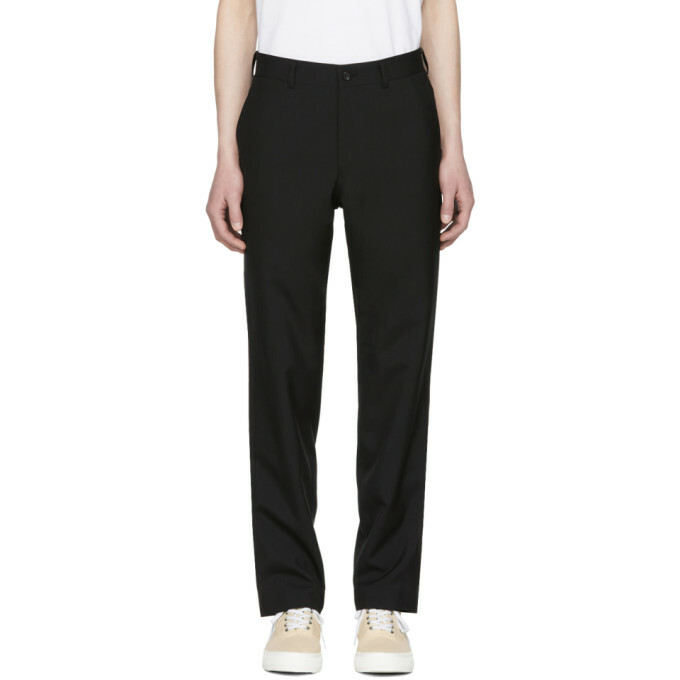 Slim-fit wool-blend trousers in black. Mid-rise. Four-pocket styling. Zip-fly. Silver-tone hardware. Tonal stitching. 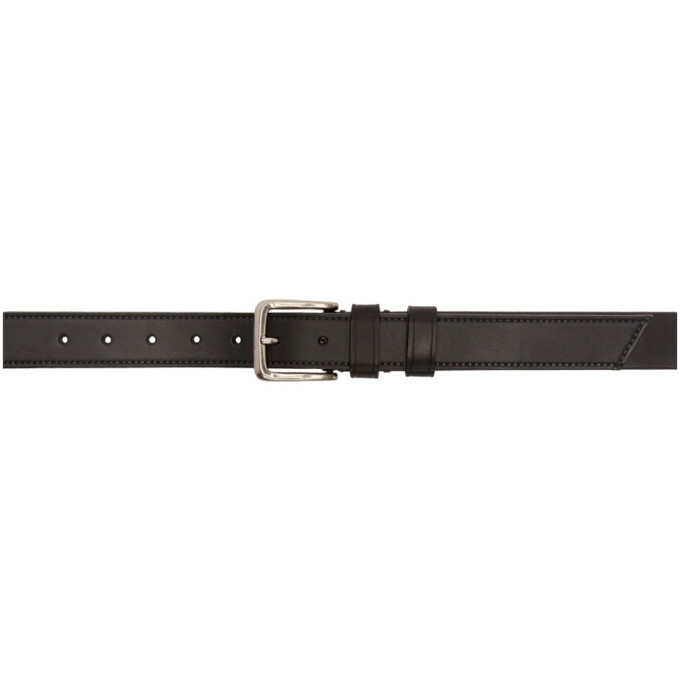 "Buffed leather belt in black. Adjustable pin-buckle fastening. Gold-tone logo stamp at interior. Antiqued silver-tone hardware. Tonal stitching. Approx. 1.25"" width." 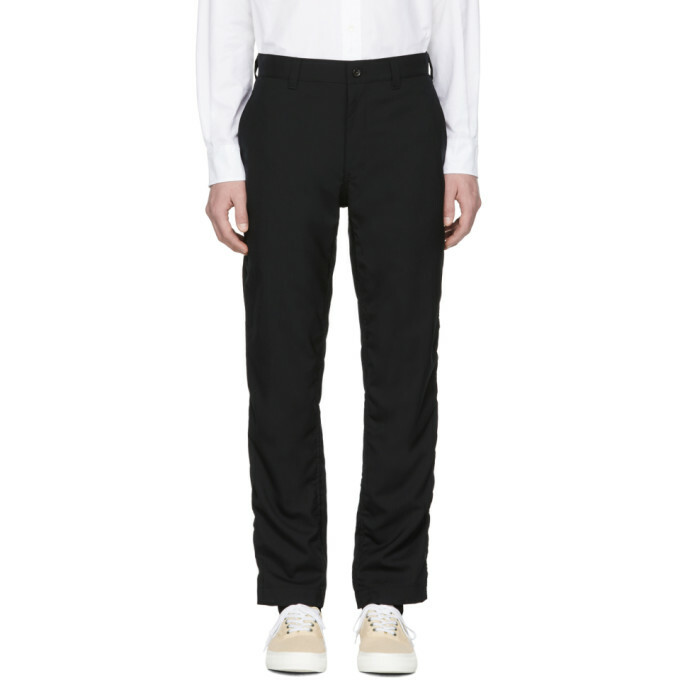 Slim-fit tropical wool-blend trousers in black. Mid-rise. Four-pocket styling. Zip-fly. Lined. Silver-tone hardware. Tonal stitching. 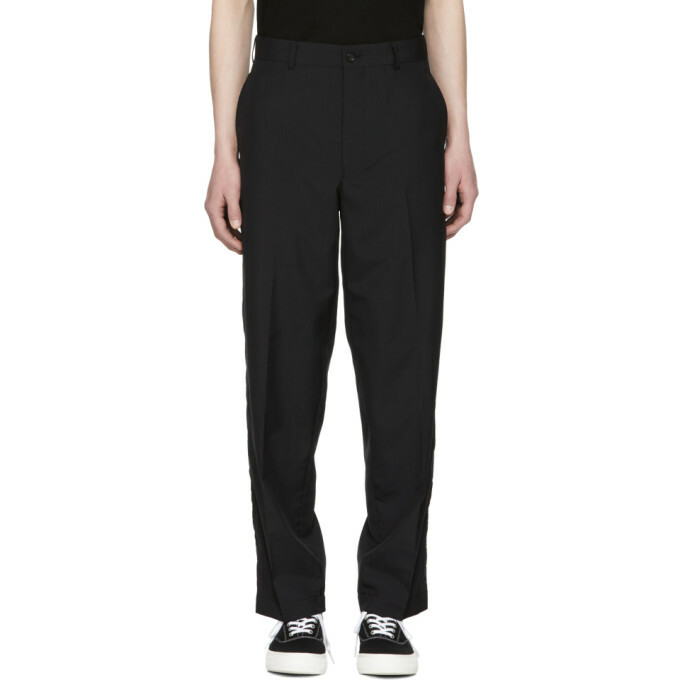 Slim-fit tropical wool trousers in black. Subtle gathering at seams. Mid-rise. Four-pocket styling. Zip-fly. Lined. Silver-tone hardware. Tonal stitching. 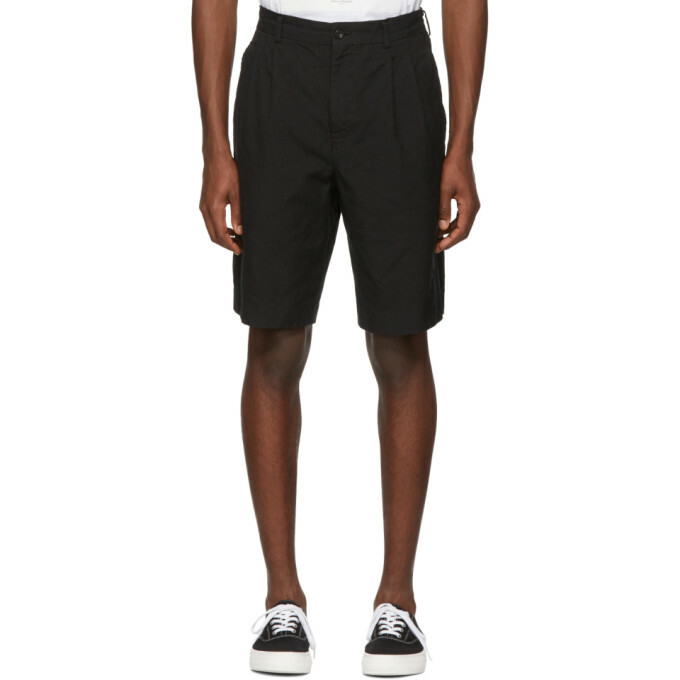 Relaxed-fit cotton-blend twill shorts in black. Mid-rise. Four-pocket styling. Pleats at front. Zip-fly. Tonal stitching. 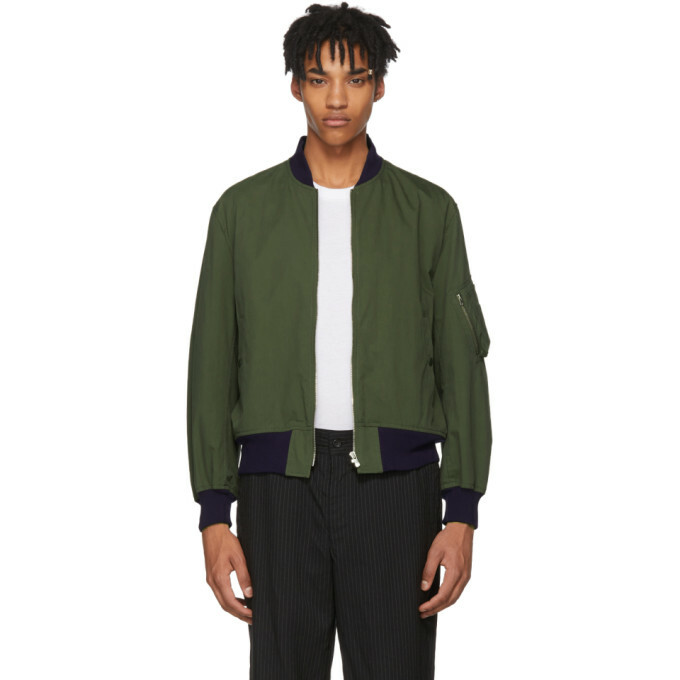 Long sleeve cotton and nylon-blend canvas bomber jacket in khaki. Rib knit stand collar, cuffs, and hem in navy. Zip closure at front. Welt pockets at waist. 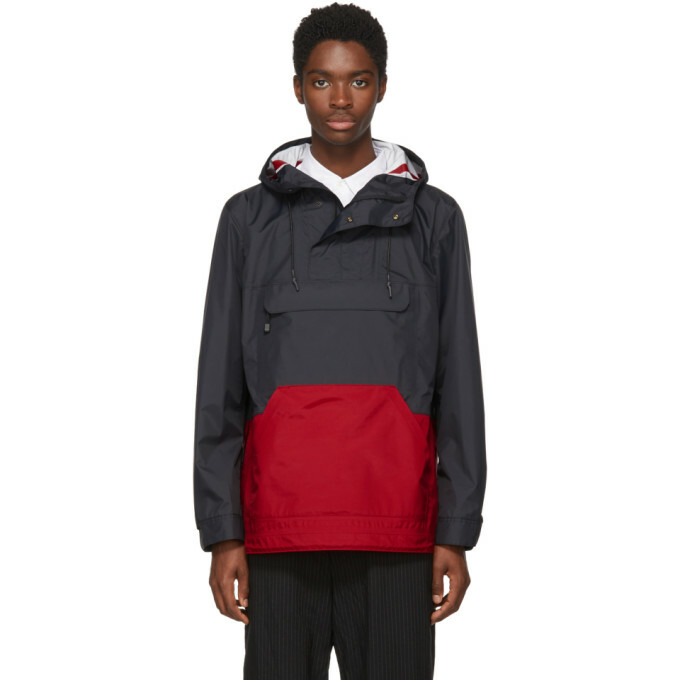 Utility pocket at upper sleeve. Fully lined. Silver-tone hardware. Tonal stitching.